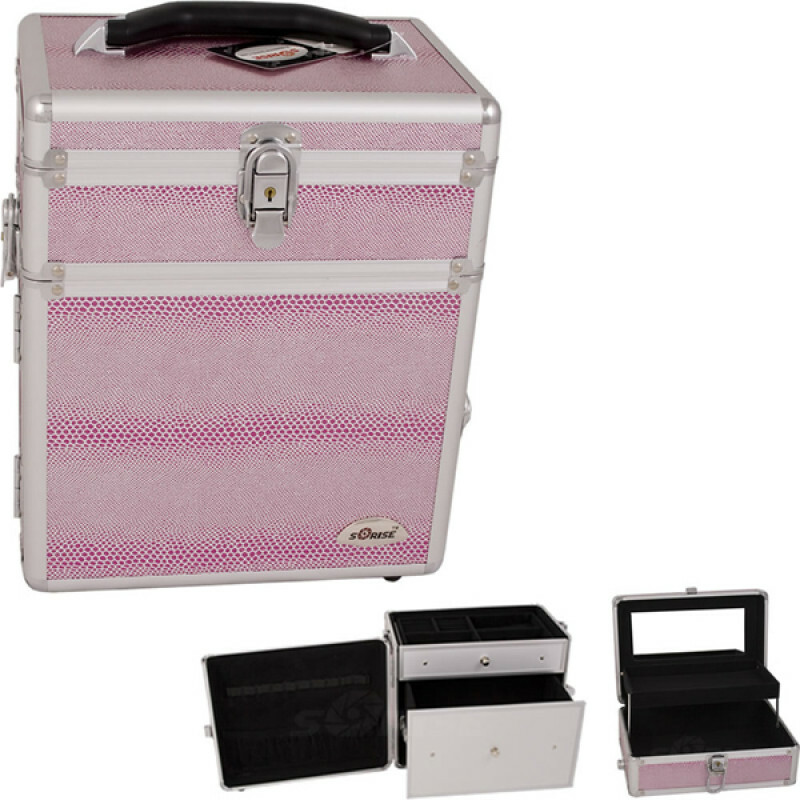 The C3010 Sunrise Pink Snakeskin Makeup Case features a mirror and 2 slide-out drawers. Total Dimensions are (L x W x H) 10.25" x 7.13" x 12.25". 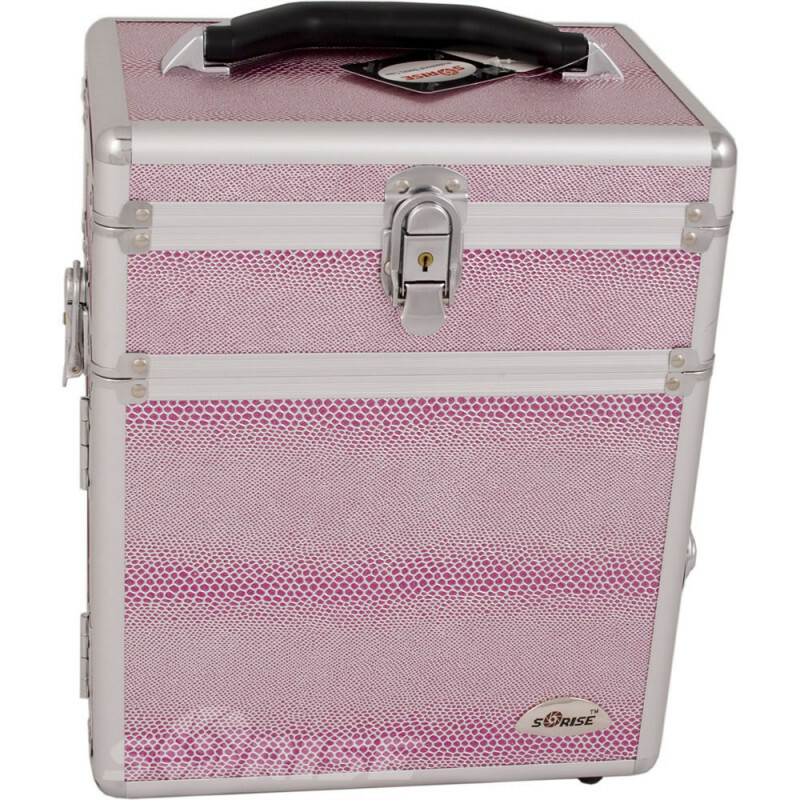 Heat resistant material keeps the interior cool. 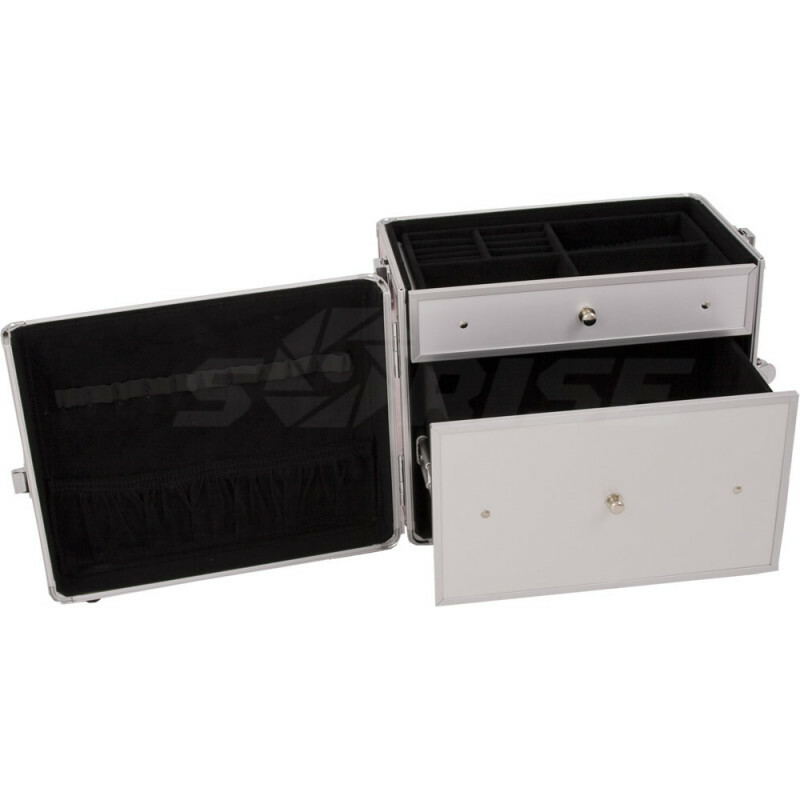 Large storage pouch is ideal for your miscellaneous items. 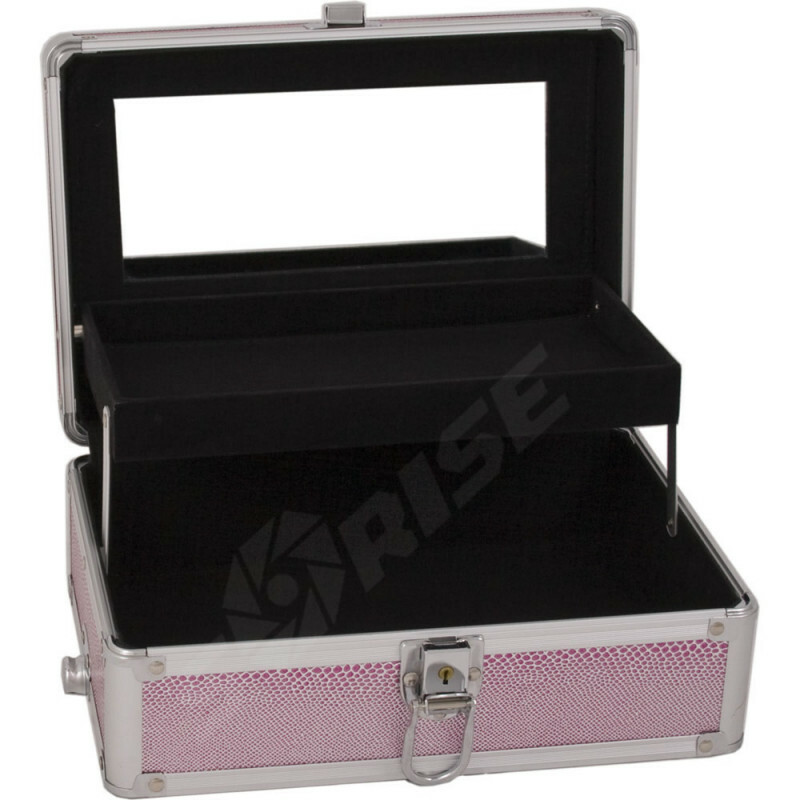 Total Case Dimensions (LxWxH): 10.25" x 7.13" x 12.25"
Top Center Compartment (LxWxH): 9.75" x 6.5" x 1.88"
Bottom Compartment (LxWxH): 8.75" x 5.25" x 5.75"